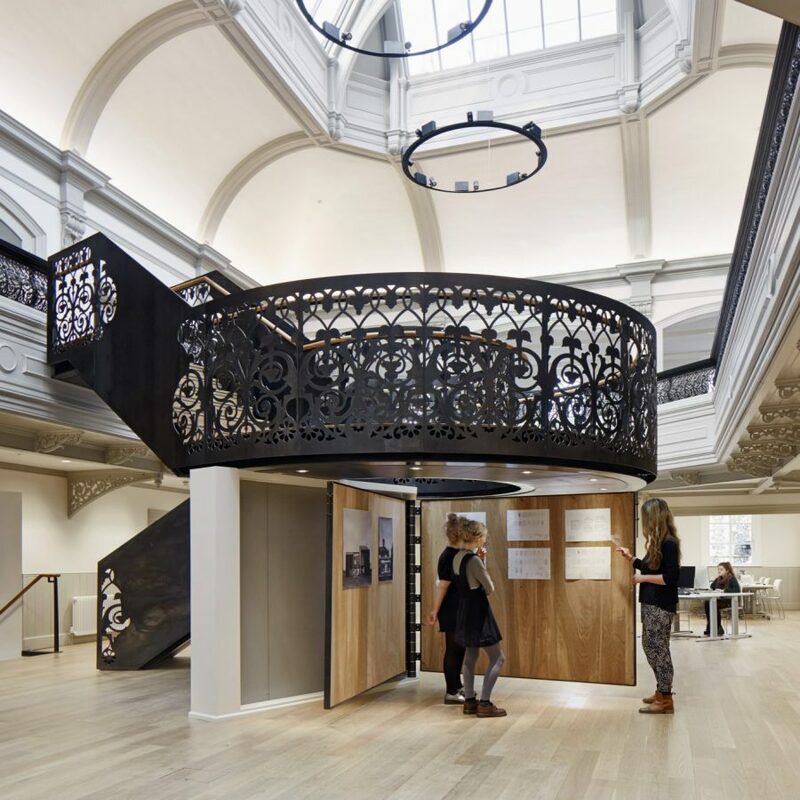 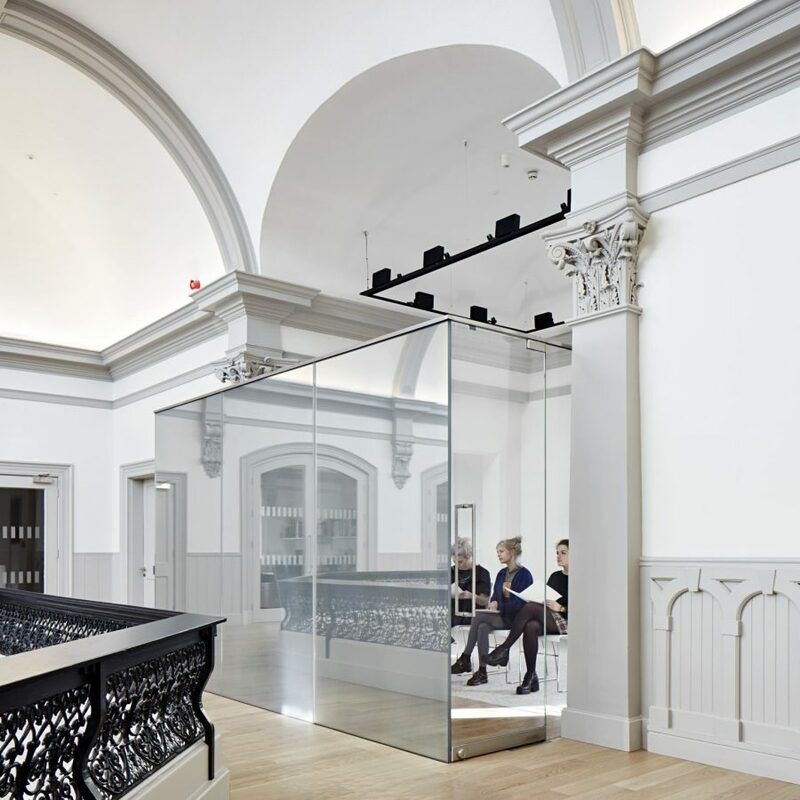 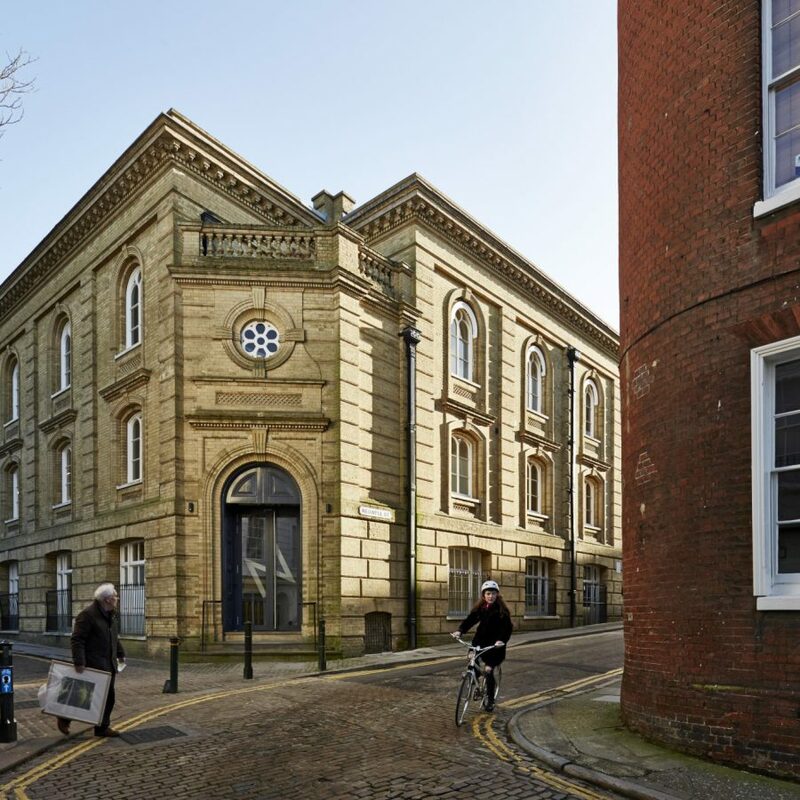 Hudson Architects’ rejuvenation has given the much-altered building a new long term use which respects the building’s heritage and preserves and celebrates its history wherever possible. 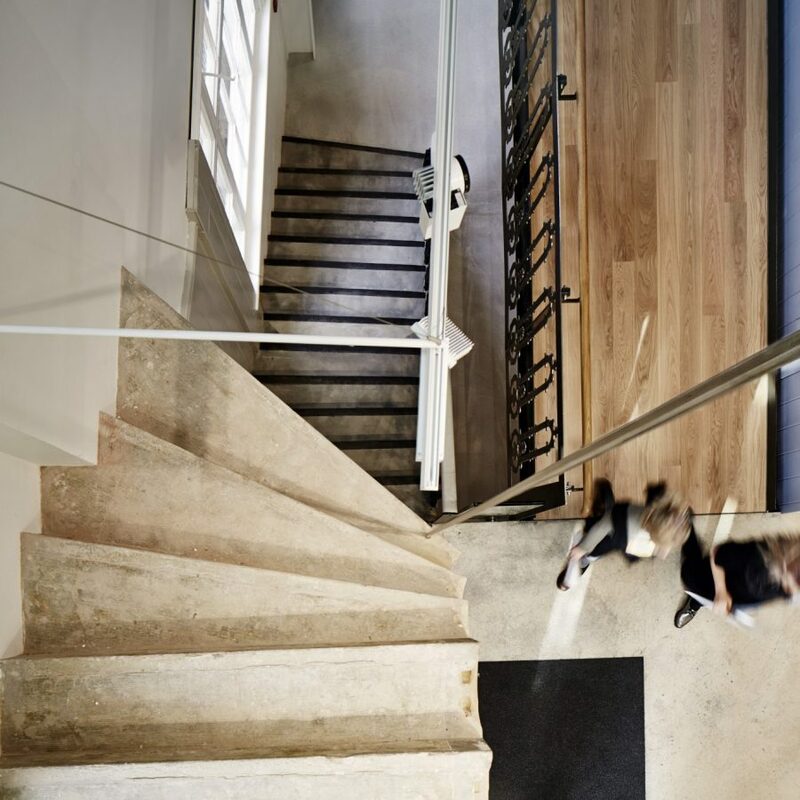 Externally, the Neoclassical facades are largely untouched, while internal features such as Boardman’s original staircase – now suspended above the entranceway – provide a quirky reminder of the building’s history. 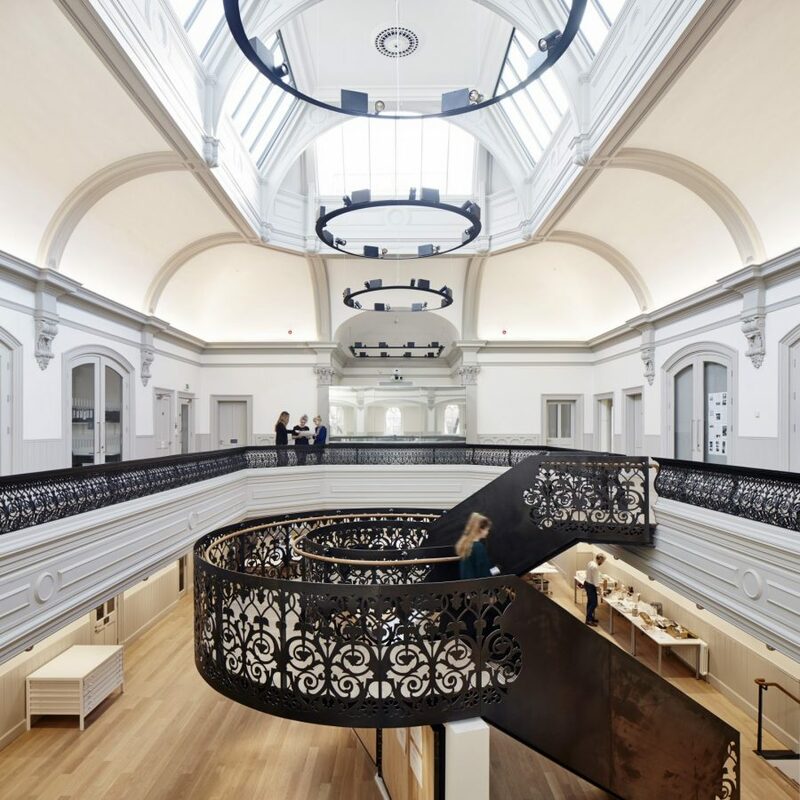 The main feature is a grand, double height central atrium encircled by a gallery, which now houses a new contemporary sculptural staircase that pierces the gallery balustrade and connects the School of Architecture’s two floors.